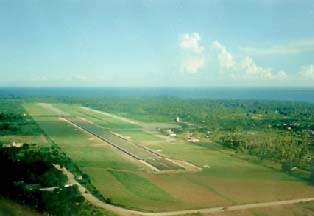 The original project involved the planning, design and supervision of runway extension, airfield upgrading and associated facilities at Zanzibar Airport. Associated Consulting Engineers has recently been appointed by the Ministry of Communications and Transport to investigate the causes of the deterioration of the runway's wearing course and to generally rehabilitate the aircraft pavements of the airport. The design team is currently on site to carry out the investigations, which include non-destructive pavement tests such as the falling weight deflectometer, and ground radar survey. The design of the overlay will take into consideration forecasts of aircraft movements and future aircraft types which are likely to operate from the airport. The project, which is financed by the World Bank, includes design and documentation for international bidding and supervision of contract. It is scheduled for completion towards the end of 2003.